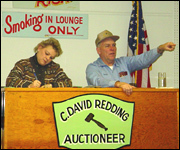 Founded in 1970 by C. David Redding, Redding Auction Service is a full service auction company that is well known for its established reputation in the auction community. Redding Auction Service maintains the highest standards in customer service along with continued commitment in providing their customers a fair and honest auction experience. 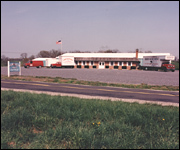 Redding Auction Service is family owned and operated company with over 70 years combined auction, appraisal and sales experience. 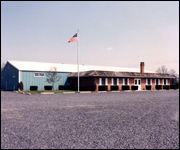 Their knowledgeable, professional staff pride themselves on their commitment to customer satisfaction. They work hard to ensure each and every one a successful and rewarding auction experience. Redding Auction Service is a regional business offering the executor, attorney, agent, as well as individuals in the regional area, the most comprehensive auction and appraisal services available. Redding Auction Service handles entire estate inventories or can accept single items and small collections to include in a multi-owner auction. The staff at Redding Auction performs each and every facet of the sale from inventory to appraisals, promotion of the sale, through conducting the auction with their skilled auctioneers. Redding Auction Service is a full service auction company with proven results. 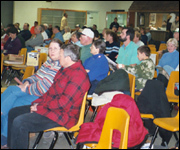 Personal involvement every step of the way will give you a smooth and organized auction. Our knowledgeable and experienced staff can handle large or small sales, estate liquidations, as well as real estate property sales. rates call Redding Auction Service today!